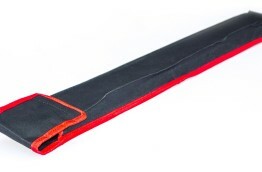 SKU: # EKAS 4a. Categories: Sticks, Rattan Sticks. Tags: 28 inch, 28", black, carved, carving, engraved, engraving, escrima, eskrima, kali arnis, pair, palasan, patterned, rattan, sticks. 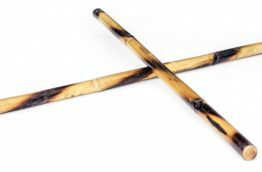 Made from 28 inch tough black rattan cane known as Palasan, these engraved Eskrima Kali Arnis sticks feature traditional carvings and are used by those who require a harder impact from their training – with more durability. 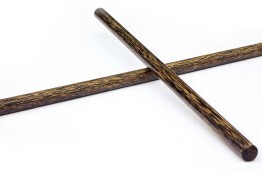 Directly imported from the Philippines and produced by a Grand Master, the Palasan stick skins are left intact and are specially treated with herbs during the hardening process and stained dark brown to give a unique finished quality, traditionally known as a ‘Black Stick’. Approx weight 160 to 230 grams. This is a natural product therefore size and weight may vary. 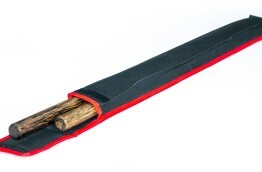 We endeavour to match the weight and diameter of pairs of sticks – as closely as possible.